With Winter approaching, we tend to start turning to a glass of red for those colder evenings. What better red wine to try out than the De Krans Basket Press Cabernet Sauvignon 2017. Using an old wooden basket press, the pressure on the grapes is much softer, therefore resulting in gentle tannins and allowing for the wine to be enjoyed immediately. Still staying true to the typical cabernet character of dark fruit and cherry cigar, this wine is a refreshing alternative to the heavyweights synonymous with this category. With only mild oak maturation, this Basket Press Cabernet Sauvignon is perfect for an everyday drinking wine or for that dinner with friends. The wine not only challenges the usual heaviness and tannins, but is also very affordable, retailing for only R75 per bottle. De Krans, traditionally known for their award-winning port-style wines, also boasts a Terroir range, where the focus is on still wines produced with Portuguese grape varieties, as well as a Classic Varietal Range, which includes wines like Free-Run Chenin Blanc, Wild Ferment Chardonnay and Pinotage Rosé. 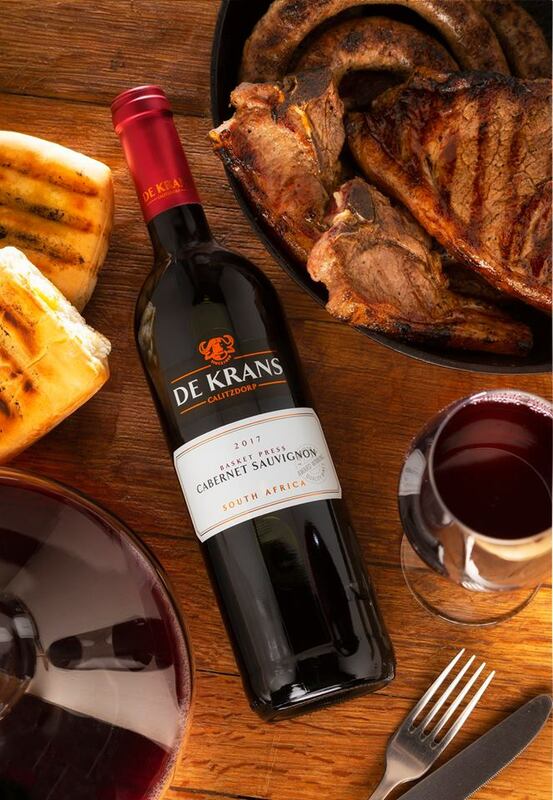 Forming part of our classic varietal range, the De Krans Basket press cabernet is exceptionally light and easy drinking and is the ideal “braai” wine. It also pairs well with pasta dishes and pizza.